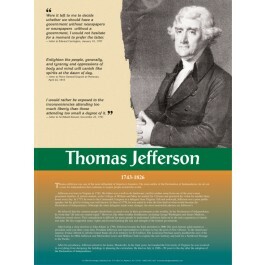 This educational poster features a striking black and white image of Thomas Jefferson, along with three important quotes from his writings, and a concise biography of his life and accomplishments. 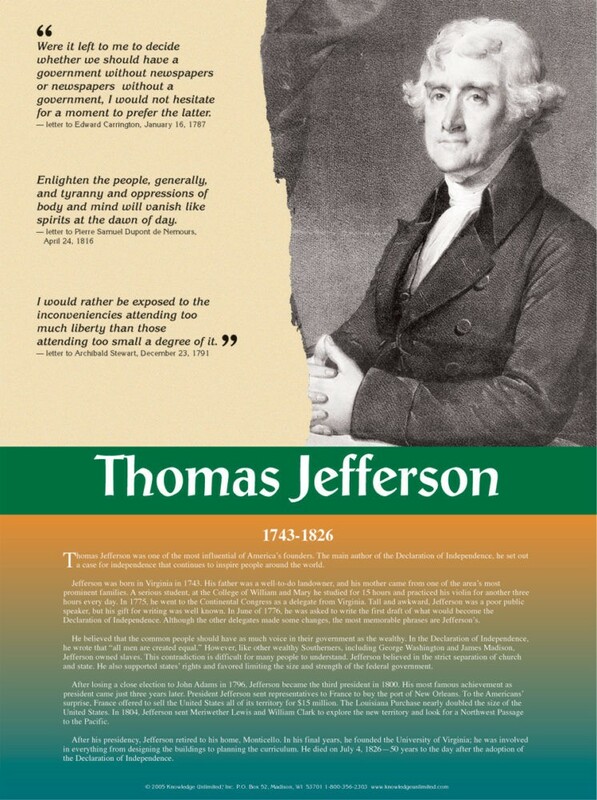 Jefferson was one of the most influential of America's founders. He was the main author of the Declaration of Independence, and his ideas continue to inspire people around the world.